Another successful year is in the books and what a year it was. Interestingly I didn’t really got to do the things that I set out to but instead visited other places and met other people. I didn’t make it to Scotland, Iceland or to Namibia. 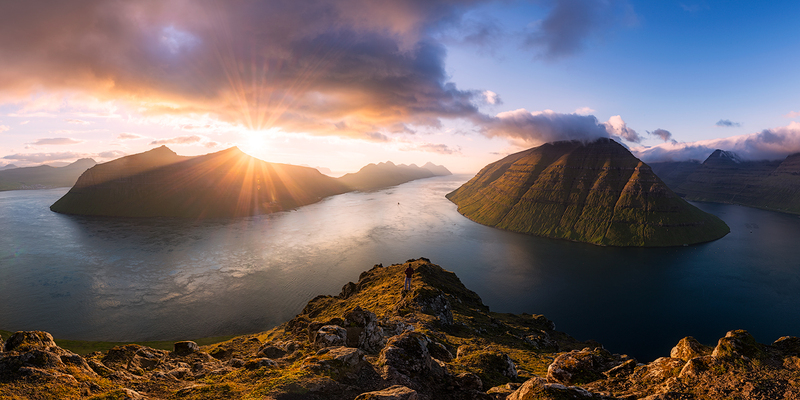 But instead went to Norway, the Faroe Islands as I had hoped last year, Alps and again to the Iberian Peninsula. I got to teach a couple of great workshops and met some cool people along the way. So I can say that photographically I am content with what the year had in stock for me. And as per usual I want to share some of my favorite shots of the year with you in the form of a top 10 list. So without further ado, here we go! #10 Certainly this image is still from 2015 but it none the less was edited in 2016 and thus somewhat counts to kick this list off. It has since brought me some interesting results such as winning the Nature category in this years dot.ART urban awards. And it certainly is actually one of my all time favorites already. But since it’s not technically a 2016 shot I thought I’d put this at the bottom of this years list instead of not making an appearance at all. 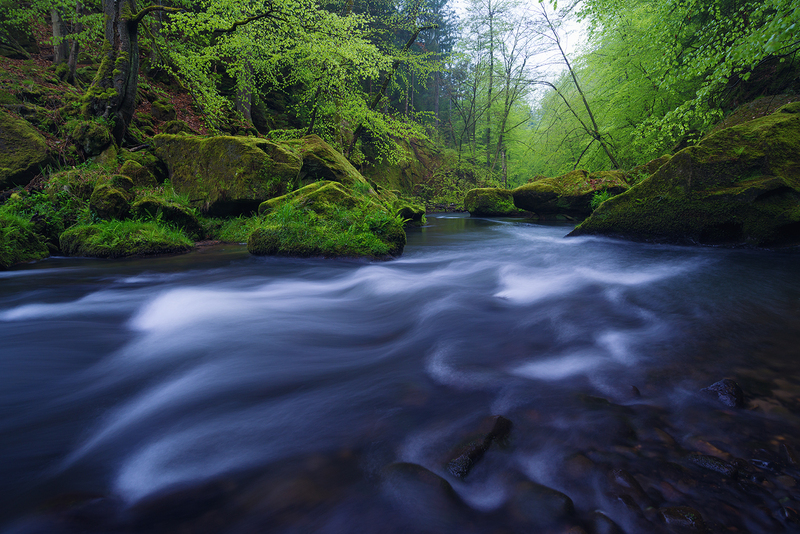 #9 – I know this is a rather quiet and not too dramatic shot but it I like it none the less since it was the third time I visited the Bohemian Switzerland and finally the weather was permitting my taking a shot in the Edmundsklamm. The last time the rain was too heavy and the time before that the pasture had already fallen due to severe weather leaving only barren trees behind. On my third visit however everything kind of fell into place. #8 A shot taken during one of the coldest summer nights I’ve witnessed in central Europe. My travel mate and I didn’t think that the temperature would drop significantly below 0° during August days even at 2700 meters in the Alps. 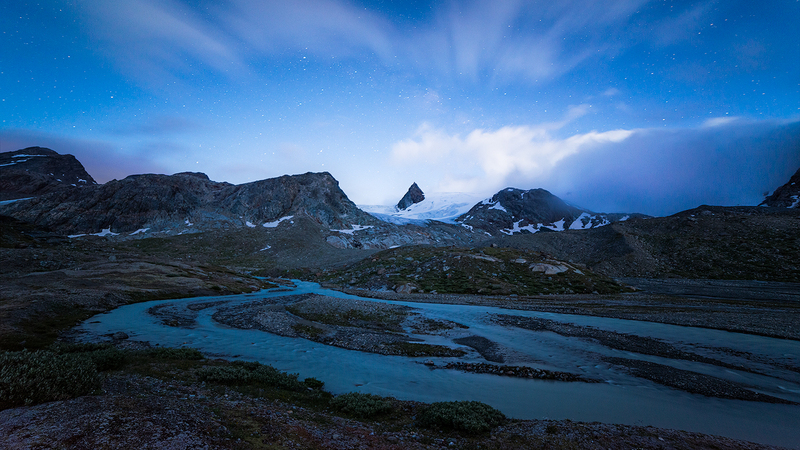 We were wrong and to our dismay the gloves we had left behind in the car or at home would’ve been a welcomed asset against the cold that permeated our layers of cloths one by one while we were taking nightly shots of this Italian alpine glacier. The image is on this list because it was one of the rare locations were even tough we were in the middle of Europe we didn’t see a single photographer in the vicinity and had the whole area just to ourselves. It was a huge success because we had intended to go to a place where no one had shot before and so far it seems we got exactly that. #7 Another image that made the list more due to what happened behind the lens than what was captured. Philipp Lutz and I had intended to shoot some gorgeous landscapes in the Dolomites, but due to the missing snow it kind of fell flat. So instead we did a tour de force across the mountains trying to find any snow if any at all. The temperatures dropped to -15° at night and sleeping in the car was quite the adventure at some points in time. This shot stands emblematically for this frantic trip, when we finally were able to find some snow that even though it seemed patchy and half way sublimated added to the overall very beautiful scenery. #6 On my sojourn in the Saxony Switzerland I was greeted by great sunrises numerous times and this was no different. Standing on the sandstone mountains and witnessing the first morning hours after a night in a sleeping bag under a rock ledge just ticks all of the boxes for me. Add a perspective that most people haven’t shot yet and you have my place number six. #5 Certainly one of my favorite black and white photographs of mine and it took about four days of spending days in the fog on an island with only 10 inhabitants waiting for the clouds to roll by. For this it really paid off it’s only a single image but for me personally it was very gratifying to see that patience – I am an incredibly impatient person – can pay of. Be it only for a single image in four days, it still felt like this is a one of a kind shot. 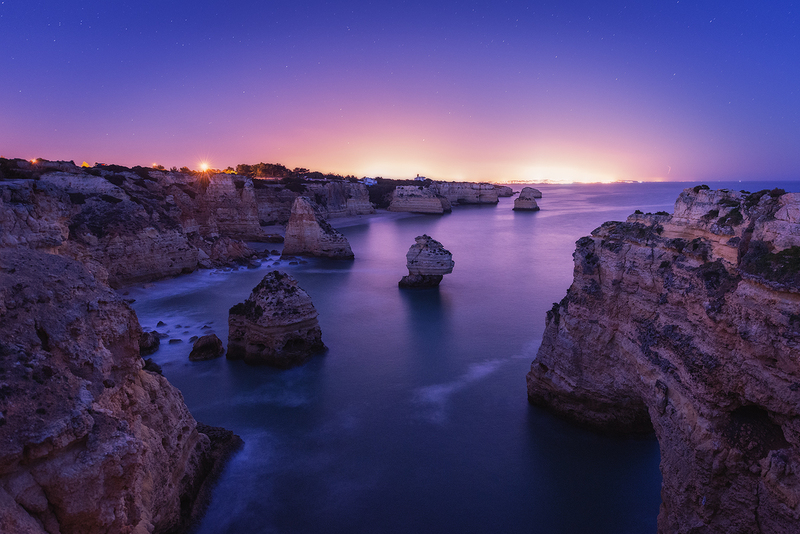 #4 A shot from my third road trip down the Portuguese coastlines. While it wasn’t a shot that took a ton of effort I just enjoyed sitting on the edge of the cliff and see the blue hour unveil. The gentle tones and beautiful, serene scenery just put me at ease when looking at it. It’s hard to describe but the shot just fills me with a warm fuzzy feeling. #3 I seldom shot with in plain daylight and in this case the shot originated from a test shot before waiting for the sun to descend further to achieve more warm and let contrasted light. In the end however I decided against the warmer and more sunset bathed atmosphere for reasons I just can’t put my finger on. This shot give a good reference to what a regular day is like standing on the 200 high cliff next to the ocean right in the middle of the pacific. It seems like that is already enough, there is no need for further shenanigans when the scenery is just that breathtaking. #2 This is one of those shots that simply was enthralling to take. Two days of hiking with a 25kg backpack on pretty darn difficult terrain at times made this a huge payoff to say the least. It was one of the shots that took the most effort this year which is why it felt even more satisfactory when the sunrise turned out to be this intense, even after it looked like the sky was not revealing anything worth shooting. It really felt like a victory taking this shot. Maybe even worth the patella tendon inflammation that came afterwards due to my knees not being able to cope with the terrain and the heavy gear. 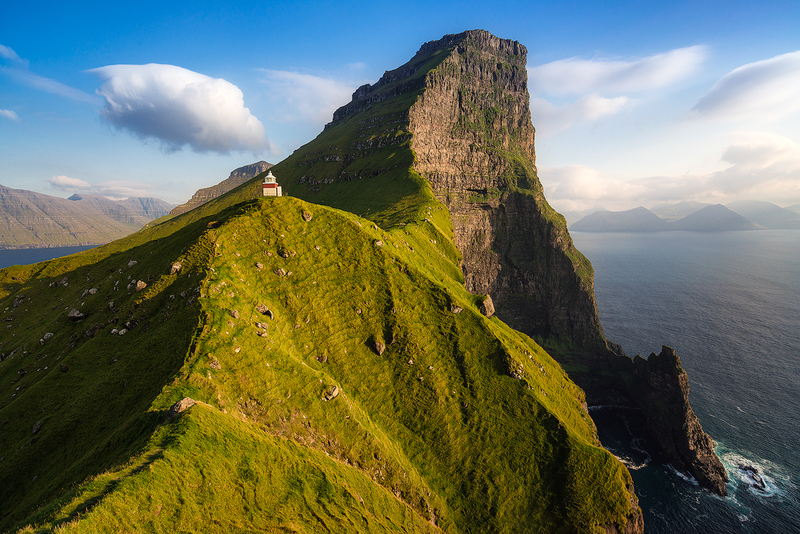 #1 Somehow almost everything came together in this shot from the Faroe Islands. 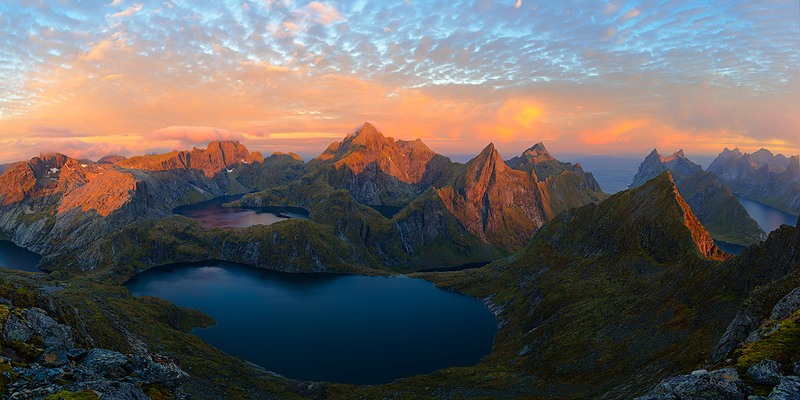 The Sunset, the scenery that I had not yet seen any images from, and of course a good friend to share the beauty with. I can easily say that this is my number one shot from 2016. I guess I needn’t see more as the image easily speaks for itself. So all in all 2016 was a great year for my personal photography. I also gave some workshops and am working on expanding for the next year. 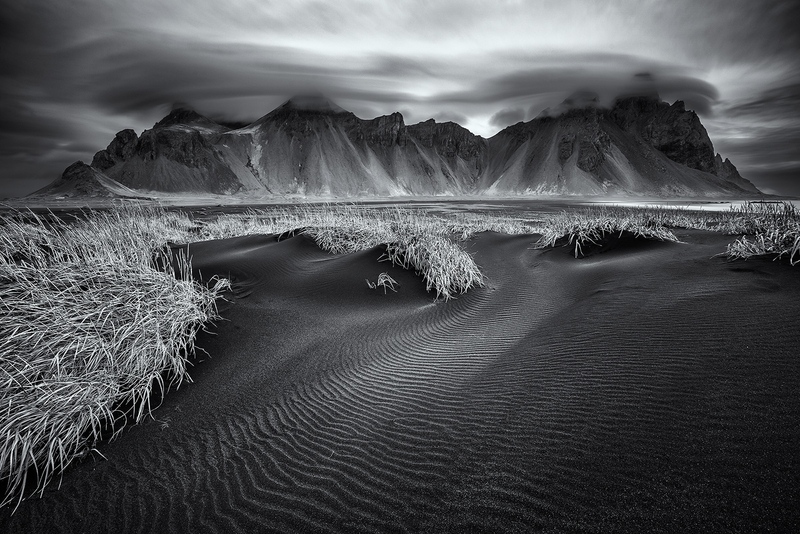 You can find what is planned so far for next year, including my Iceland Workshop here. So what are my plans for 2017? So far only two trips are scheduled which are Iceland in January, as I want to build my winter portfolio since the Dolomite Trip 2016 wasn’t as fulfilling as I had hoped, and Scotland in April with my buddy Tino. Also there is the 2nd Iceland trip for the workshop I am doing in September to October. Other than that I need to finish up my gear as I have recently switched some lenses around and also looked at other new equipment such as tripod and filter options. Trip-wise I am currently looking into some locations in Japan and USA. Also an annual visit to the Alps would also be on my list again. Let’s see what out of all these I can turn into memories and pixels. Onward to a great 2017! I wish you all the best and see you around.